On Friday March 1, the Buffalo Bisons sponsored a Buffalo Public High School Baseball Coaches Clinic at City Honors High School. The sponsorship of the clinic is part of the ongoing support of the Bisons and the Rich Family Foundation given to the Buffalo Public High School baseball program. 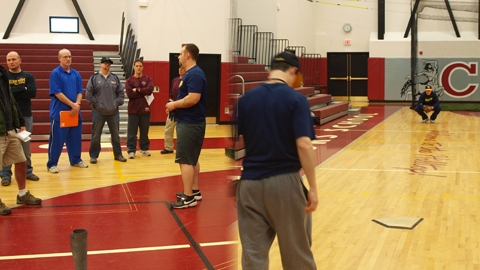 The clinic was held in City Honors' new gymnasium with the coaching staff and team members for the Medaille College Mavericks baseball team as the instructors. The clinic covered coaching instruction on hitting and bunting drills and mechanics, fielding drills for both infielders and outfielders, base running drills, pitching drills and mechanics, throwing exercises and strength and conditioning exercises. The focus was on conducting good indoor baseball practices but also covered some outdoor and pregame drills and preparation.